The chicken thighs are the size of my hand! 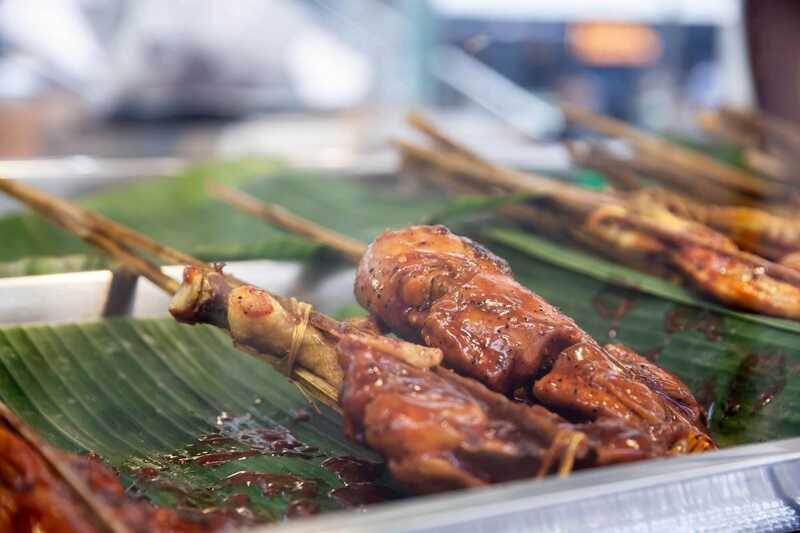 If you’ve never heard of ayam percik before, picture this – juicy chicken thighs marinated with creamy coconut milk and a spicy blend of belachan, assam, and spices, skewered on bamboo, and grilled above a big fire while constantly doused with more marinade gravy. 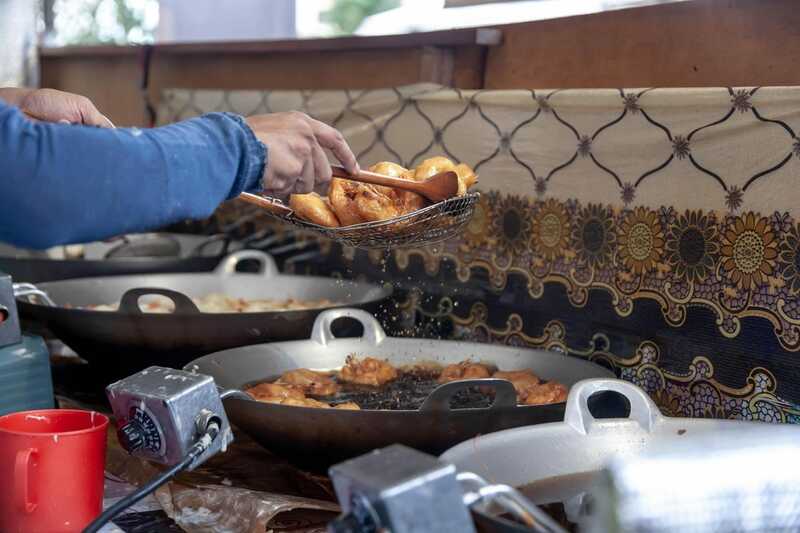 Found at almost every Ramadan food bazaars and a staple dish to have during the holy month, the sweet and spicy grilled chicken can be yours at an otherwise nameless “AYAM PERCIK” stall, which has been following a traditional recipe of their own for years. 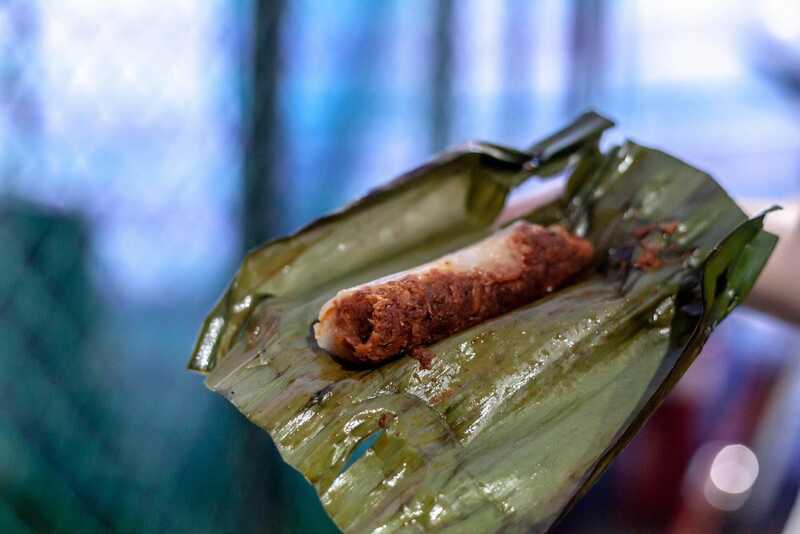 Fluffy, moist, and crispy at the edges, most of us are no stranger to the apam balik. 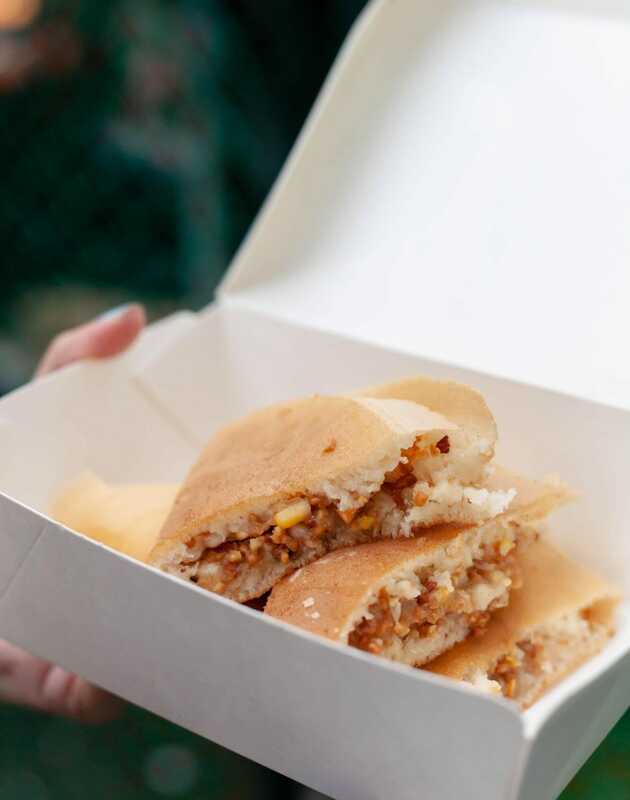 But while we’ve usually only had the traditional peanut filling, this “APAM BALIK POWER” stall has another just as traditional, but way more elusive sweet corn flavour on its menu as well! 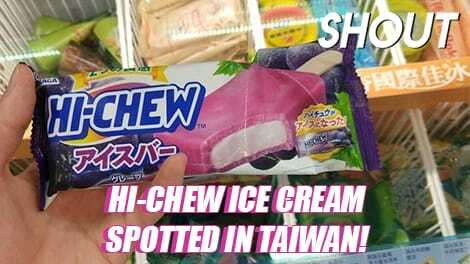 Selling at just $3.50, the ingredients are as simple as butter, ground roasted peanuts, and creamy sweet corn, and is incredibly flavourful with many textures. 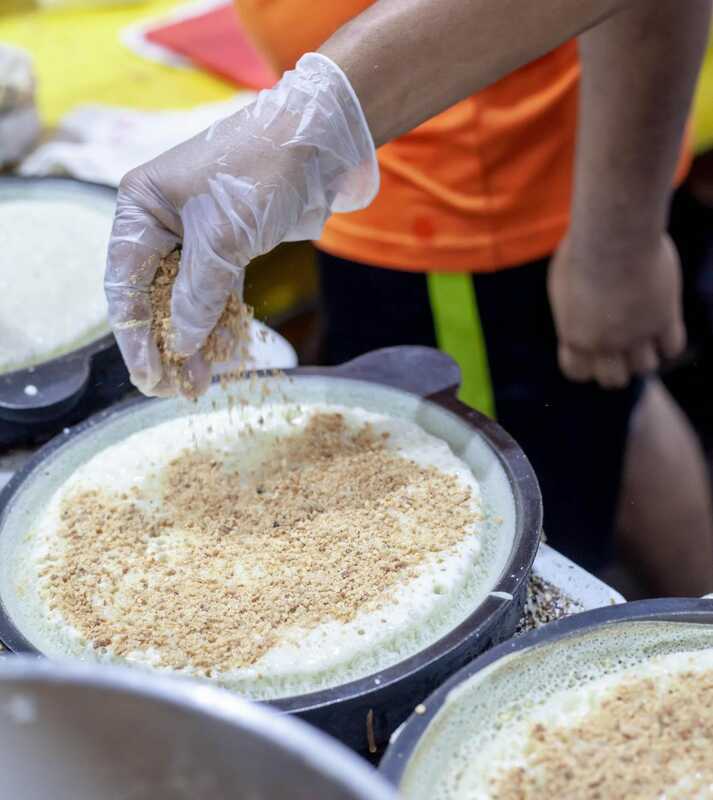 We found out from the stall owner that they hand-make their flour mixture, and have been a vendor at the Geylang Serai Bazaar for the 8th time running. Hidden at the quieter part of the bazaar among carnival game stalls and household items is Mr. Wadeh, a wadeh stall that has been part of the market since 2002. 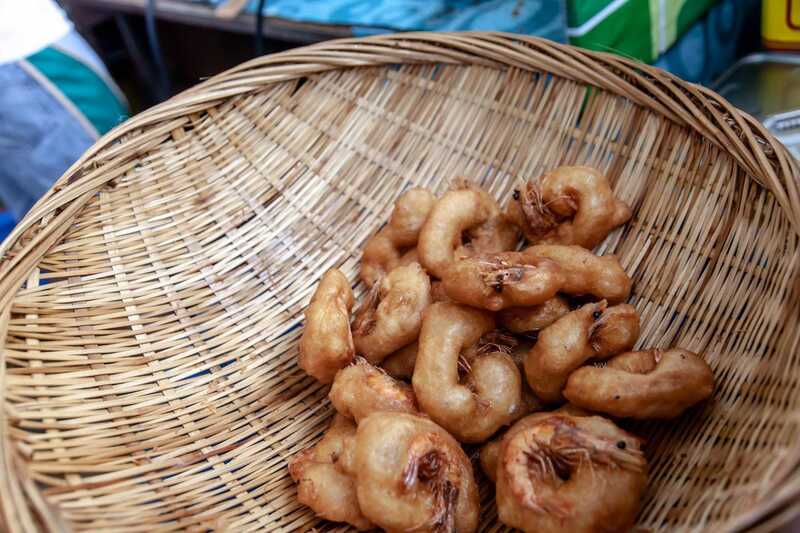 Only prawn wadeh can be bought here, which are all made by hand on-site, resulting in crisp, fluffy dough that’s been slightly flavoured with spice. Their wadehs are served with a side of fresh green chilli as per tradition! 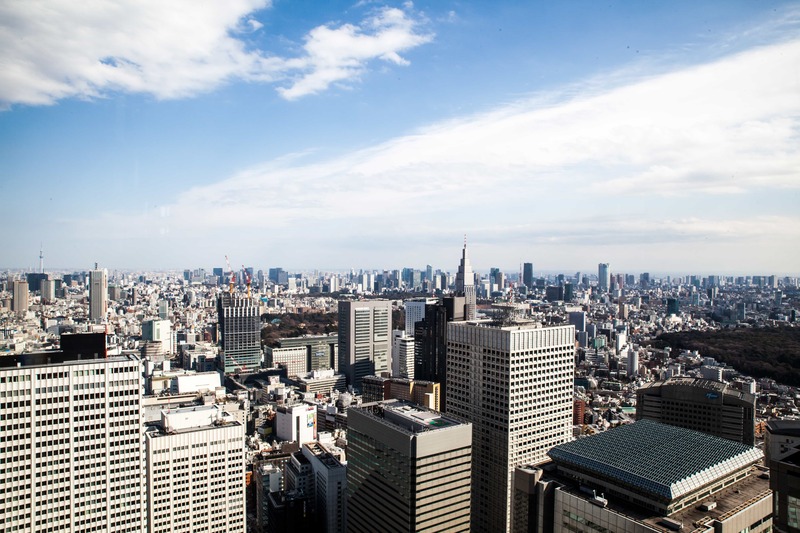 Its popularity is evident as well – despite its rather discreet location, there’s still a long line of elderly people in wait, with each of them holding quite a few $2 notes in their hands. Mr. Wadeh sells 3 pieces of wadeh for $2, so you get the picture. 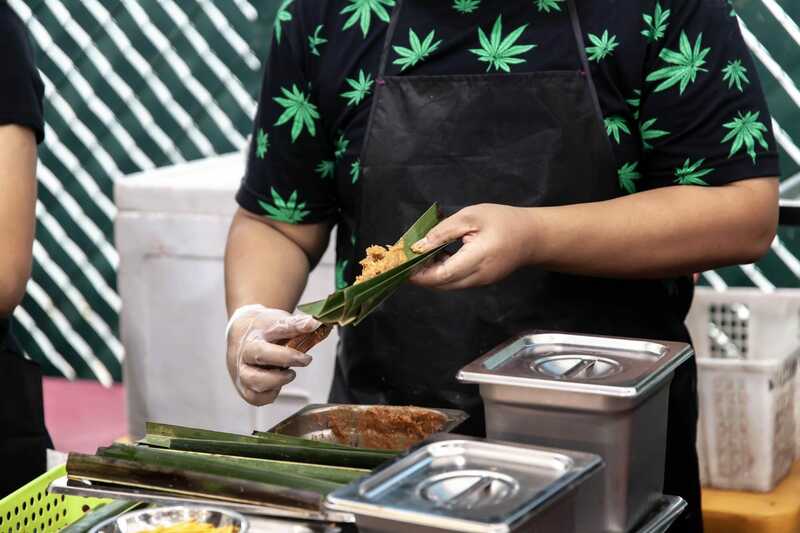 Otah is undoubtedly a household crowd-favourite, and Ikan (Ikan Tangkap Sendiri) is an otah vendor that’s been stationed at the bazaar for the last 30 years. Don’t let the modern-looking signboard confuse you – while it has been given a revamp by their 2nd-gen owners, the fish paste used is still handmade according to their original recipe at a central kitchen before being transported to their bazaar stall! 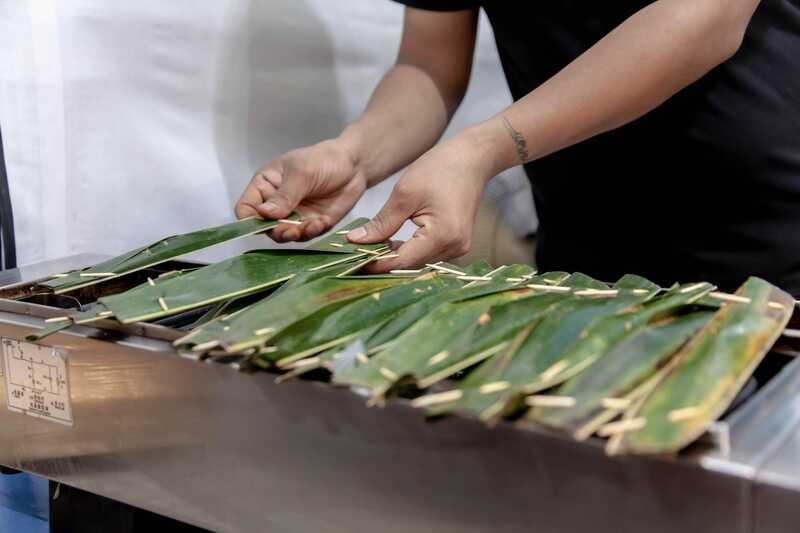 There, it’s then scooped onto banana leaves and grilled to perfection on the spot. 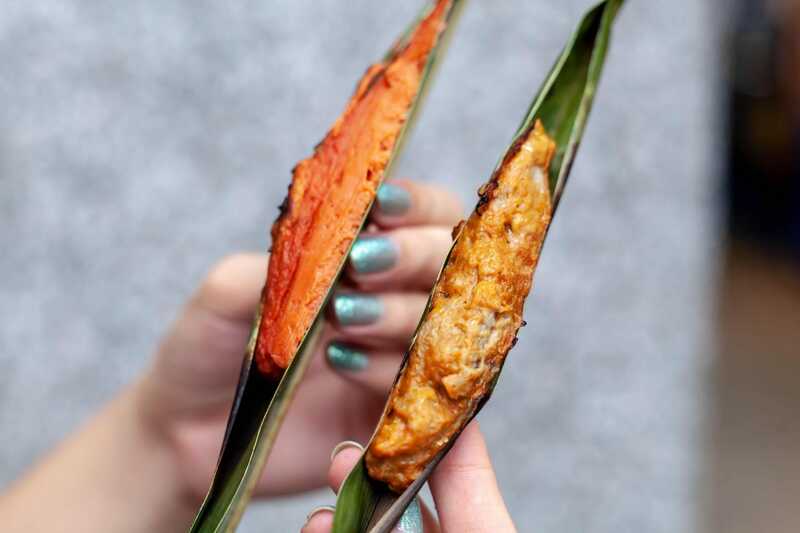 With its huge firm chunks of mackerel fish meat and a spicy kick that’s stronger than most, it’s really no wonder Ikan is so popular with the Malay community! Factory-made otah on the left, Ikan’s homemade otah on the right. 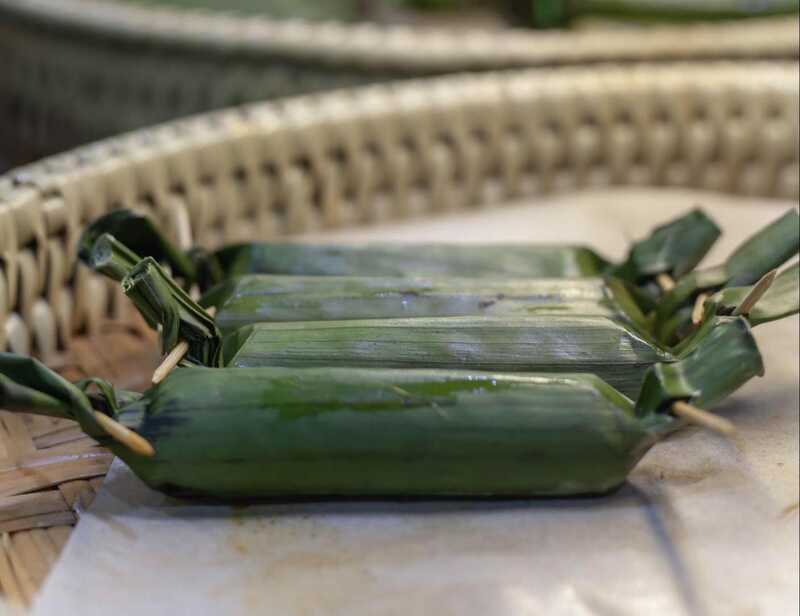 Another traditional gem by Ikan is the pulot bakar, which is more than just a glutinous rice-otah of sorts – stuffed with savoury fillings like dried shrimp, chicken, and beef, the sticky pillows of coconut glutinous rice are wrapped with banana leaves and grilled till it’s slightly charred. 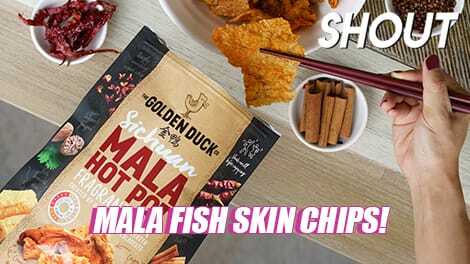 Opt for the original shrimp flavour ($1.50) for a taste of their homemade age-old recipe! The rice is fragrant and sweet, and the shrimp fillings were tasty and packed a satisfying punch – if I had to draw comparisons, I’d say that it reminded me of a sweeter and less oily. 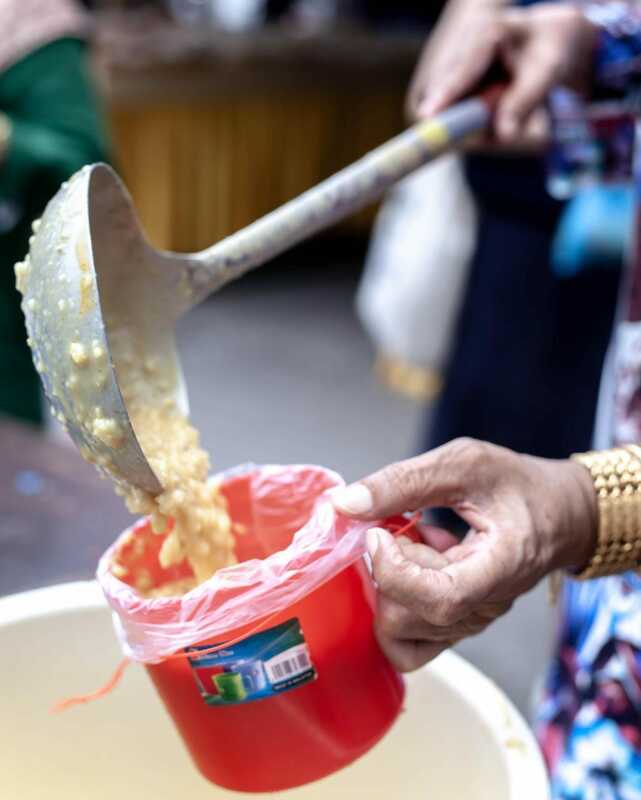 Bubur lambuk is often distributed outside mosques as well. 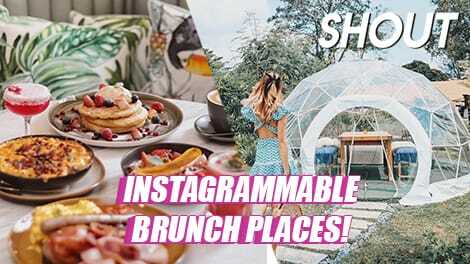 This one’s a little special – it’s free-of-charge, and there isn’t a booth per se, but they’ve been giving out free bubur lambuk at the bazaar for years now, and you can’t have one without the other. Known as the “Ramadan porridge”, bubur lambuk is simple, homey, and a must-have to break fast with, since it doesn’t strain the stomach after a whole day of fasting. Made with various spices like cloves, star anise, and black pepper, the porridge also has meat, dried shrimp, and coconut milk, and uses pandan leaves, parsley, and fried onions to enhance its enticing aroma. The result? A savoury, slightly tangy bowl of comfort! 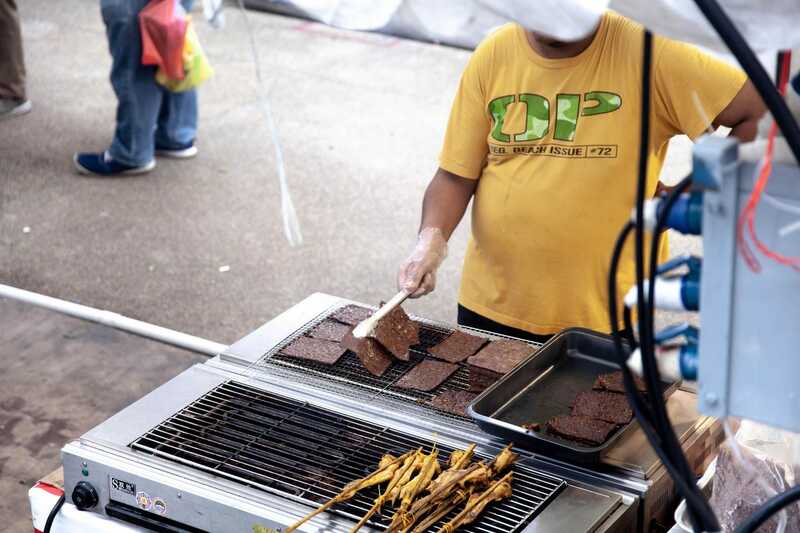 Unbeknownst to many non-muslims, the Malay community has their own version of meat jerky too – known as dendeng, they are mostly made with minced beef or mutton, and tastes like an extremely tender satay. Basically, heavenly. 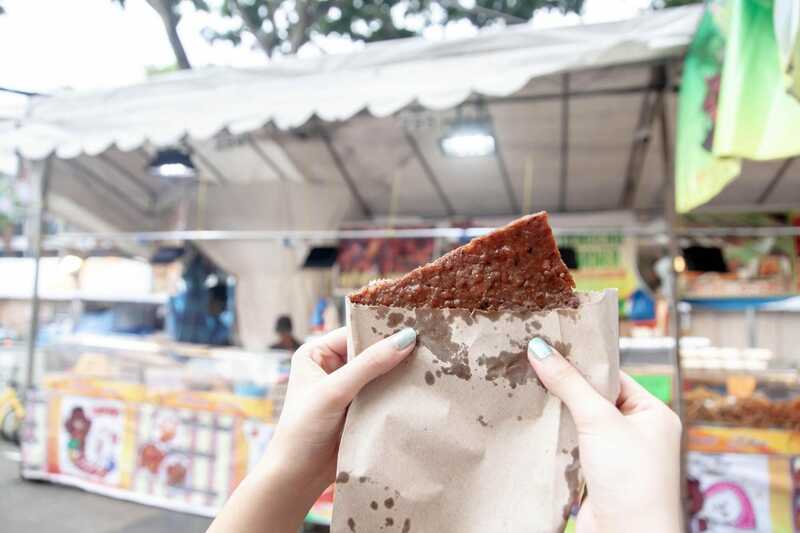 To make your money worth, make sure you buy from Dendeng House’s stalls, which has been specialising in dendeng since 1991 with their own in-house recipe! 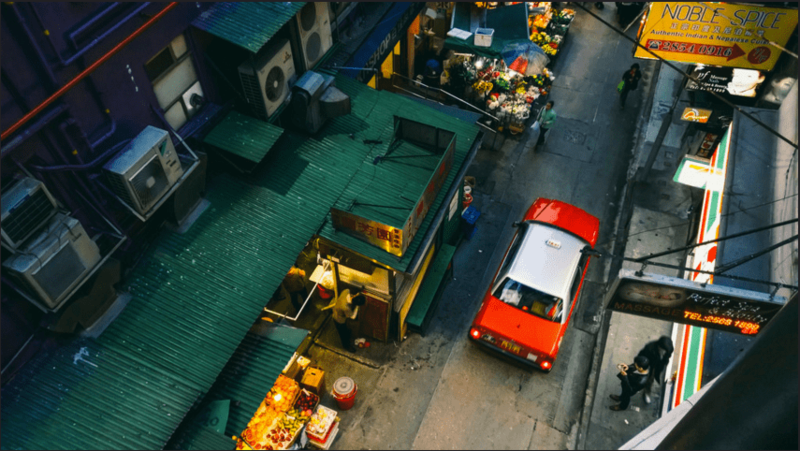 With traditional gems like a 30-year-old otah family business, an old-school wadeh stall that makes and sell them on-site, and the comforting break fast must-have, bubur lambuk, don’t forget to relish the true spirit of the Ramadan bazaar this year at Geylang Serai when you’re done snapping pictures of that colour-changing drink!